What is the most effective way for our organization to introduce new applications or rebuild old ones? Buy an off the shelf commercial application. How easy is it to integrate with my LOBs? Code or configuration? Is the system overkill for what we are trying to accomplish? How difficult is it to administer? Will I require certified staff? What is missing and what will it cost to extend and maintain? I find many organizations “settle” when it comes to off the shelf applications, and adjust their business to the application. The key benefit, in most cases, is you get up and running quite quickly, and can glean advantages and ROI without waiting for dev or build time. The hybrid approach seems to be quite common, and many of the inquiries I see today involve organizations looking for BPM/BPA platforms to round out their existing inventory. Maybe they have a custom dev project where they need a workflow engine, or a data integration layer, and see the platform as a way to provide core capabilities. Perhaps they purchased an off the shelf app, and need to extend it, or wrap it with a more capable forms or reporting engine. 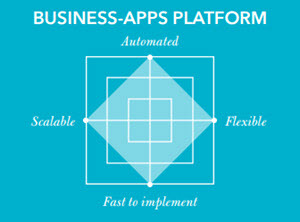 To see how a hybrid strategy including BPM/BPA can impact an organization, see this post: BPM Benefits The true benefit of this hybrid strategy is that you can have all the benefits of the core BPM engine, and use extended capabilities through the APIs to add value to other existing apps or projects. Just a quick overview of App Strategy observations. Comments? There is quite a bit of confusion within the Business Process Management (BPM) world, and much of it revolves around acronyms, and actually what defines a platform, a suite and intelligence. As companies look to bring workflow and process technology into their business operations, it can help to actually understand how the market is defined, and where to look for the right set of features and functions that will provide the required outcomes. The basic BPM platform is a set of tools (workflow, forms, data, reporting) that allows an organization to create digital process, and transform their businesses and compose process-centric applications. It provides a graphical design environment, and allows you to build out your processes. It includes storage for process metadata, and also an engine for executing process and managing business rules. An example of this type of application would be iWorkflow. What is a Business Process Management Suite (BPMS)? The BPMS lays a foundation for business and IT to collaborate throughout the design and execution of process. It houses all the features and benefits of the Platform, but the Suite adds a full compliment of tools and features to improve process and increase business agility. 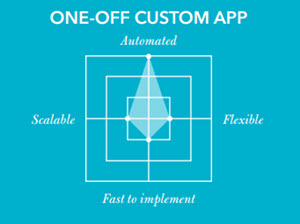 The Suite focuses on transformation and innovation, and typically adds no/low code application composition, as well as the ability to handle routine and non-routine work (case management). It provides robust reporting on process to create a feedback loop for continuous improvement. K2 fulfills this niche, as well as the next level. See K2 Workflow and BPM. What is an Intelligent Business Process Management Suite (iBPMS)? The iBPMS is at the apex application of the process world. Take all the benefits of the previously mentioned categories, and add enhanced and predictive analytics, process intelligence and enhanced process insight. The main purpose of the Intelligent Suite is to drive rapid improvement and process enhancement to achieve top levels of efficiency and productivity. The iBPMS also provides dynamic functionality to change process “on the fly”, for non-routine work. 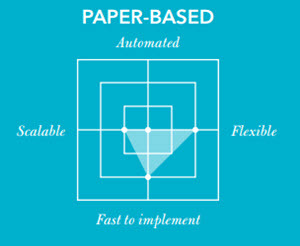 K2 meets all these needs: See K2 Workflow and BPM. Inform Decisions carries both products, and can help any type of organization carve out their process needs. See our software here: Workflow Software.